#ZOOTOPIA - Now Playing in Theatres Everywhere!!! Home#ZOOTOPIA - Now Playing in Theatres Everywhere!!! I have heard nothing but good things about this movie! I’m so excited to be able to say that ZOOTOPIA is now playing in theatres everywhere! 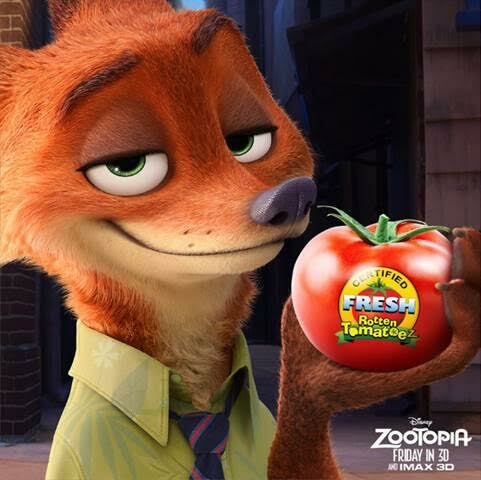 ZOOTOPIA currently has a Rotten Tomatoes score of 100% if that says anything. The modern mammal metropolis of Zootopia is a city like no other. Comprised of habitat neighborhoods like ritzy Sahara Square and frigid Tundratown, it’s a melting pot where animals from every environment live together—a place where no matter what you are, from the biggest elephant to the smallest shrew, you can be anything. But when optimistic Officer Judy Hopps (voice of Ginnifer Goodwin) arrives, she discovers that being the first bunny on a police force of big, tough animals isn’t so easy. Determined to prove herself, she jumps at the opportunity to crack a case, even if it means partnering with a fast-talking, scam-artist fox, Nick Wilde (voice of Jason Bateman), to solve the mystery. Walt Disney Animation Studios’ “Zootopia,” a comedy-adventure directed by Byron Howard (“Tangled,” “Bolt”) and Rich Moore (“Wreck-It Ralph,” “The Simpsons”) and co-directed by Jared Bush (“Penn Zero: Part-Time Hero”). Check out the trailer to learn more. Visit the official ZOOTOPIA Website too! I also have two videos on how to draw a couple of characters! Check them out!